Ameera Shipping is one of India’s leading freight forwarder with a complete range of professional Air Freight services. We have built up an excellent Customer base..
Ameera Shipping’s experience in the field of Ocean Freight services ensures that your bespoke requirements are fulfilled as efficiently as possible..
Ameera Shipping has a valuable clientele in Custom brokerage for years. 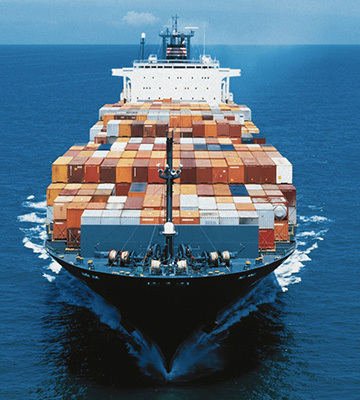 Our Services include Pre and Post documentation and Draw Back follow etc..
Ameera Shipping & Logistics Pvt.Ltd. was established in the year 1999 as an organisation involved in FCL Forwarding to worldwide destinations. We are committed to providing high quality services, based on excellent follow-up and instant customer response. Ameera Shipping offers seamless logistic services with the most effective combination of Global Air, Ocean, Road transport, as well as Custom Brokerage and all related services. Our end objective is to provide fully managed operational Logistics services with an earnest attempt to become a part of your business. When you need a shipment delivered, around any corner of the world, you can be confident that we will take care of every detail until it arrives safely. With our very responsive agent network, coverage of key global markets and dedicated people, you can rely on Ameera Shipping to be your one source logistics company and a partner in your on-going success. Ameera Shipping & Logistics Pvt.Ltd. was established in the year 1999 as an organisation involved in FCL Forwarding to worldwide destinations. After a span of time and due to the growing demands of our clients , we expanded our wing of operations into Global Export and Import , LCL Consolidation. Today with 9 offices in India, we handle a volume of 3000 containers per year At Ameera Shipping & Logistics Pvt.Ltd , large business conglomerates , have learnt to experience , the true value of professional services.